Fear and doubt were standing in the way. Standing in the way of answering the call and stepping into the purpose God had for my life. Fear and doubt drafted excuses and worries on my behalf. Worries about things that might never even happen. Looking at the picture I heard the words , “You can stay in the boat and watch the miracle, or you can step out of the boat and be a part of the miracle” I then felt inspired to do some bible journaling on Matthew 14:22-33. 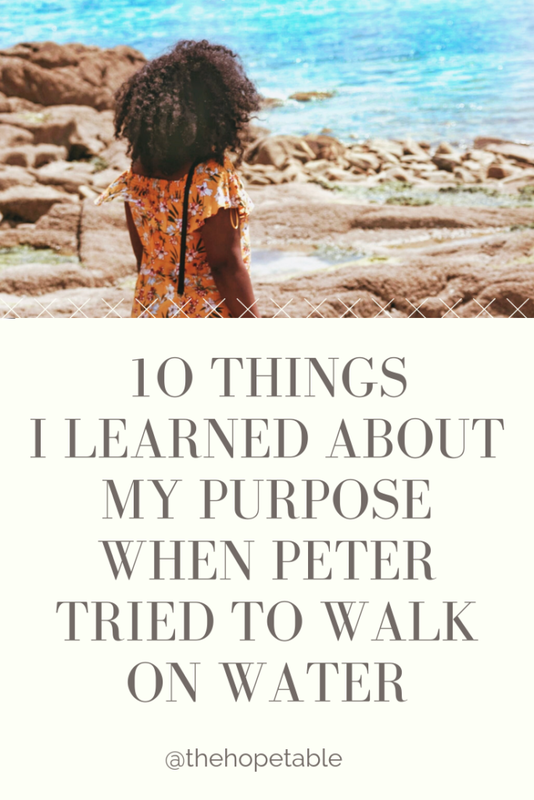 And today I want to share with you, 10 things I learned about my purpose when Peter tried to walk on water. 1) Maybe imperfect conditions are the perfect place to start because it’s the perfect place for divine intervention and the miracles of God to take place. Even when we are in the right place, exactly where God has sent us, we go through some tough times. Jesus sent the disciples ahead to sail on the lake, but never did he say the journey would be easy. Being bashed and pounded by stormy waves all night rocked what should have been a peaceful sail. Can you think of something God has sent you to do that wasn’t easy or you faced opposition? We tend to think we misheard God when we get off to a rough start. We think maybe he didn’t say to start that ministry, or that business or write that book or the blog and we want to quit. Challenging conditions is not a reason to quit the journey. Sometimes the truth is you can be exactly where God wants you to be, in the right place at the right time, and still experience challenges. Then there are those of us waiting for the perfect conditions before we even start. We have every excuse not to step into our purpose. ‘I don’t have enough time’, ‘I don’t have money’, 'I need to do one more course on top of the 6 I’ve already done’. ‘I’ve had 5 dreams, 6 prophecies and 7 other confirmations but I just want one more person to confirm’. ‘Maybe I will start in the New Year’. I was the queen of excuses. I remember reaching out to a fellow entrepreneur and asking her how she started her marketing and communications company. She told me her story and then added “don’t wait for the perfect logo, the perfect website, the perfect pitch or tag line. Start with what you have, once you start serving your audience, those you serve, will soon let you know if it’s working or not and then you can tweak it. But you won’t know unless you start”. Then I realised that, I had to be faithful with the opportunity I had and where my human ability ends God’s grace begins. God wants me to show my faith through obedience not my perfection. So, we should always go WHERE God tells us to go, WHEN he tells us to go, no matter the conditions around us. 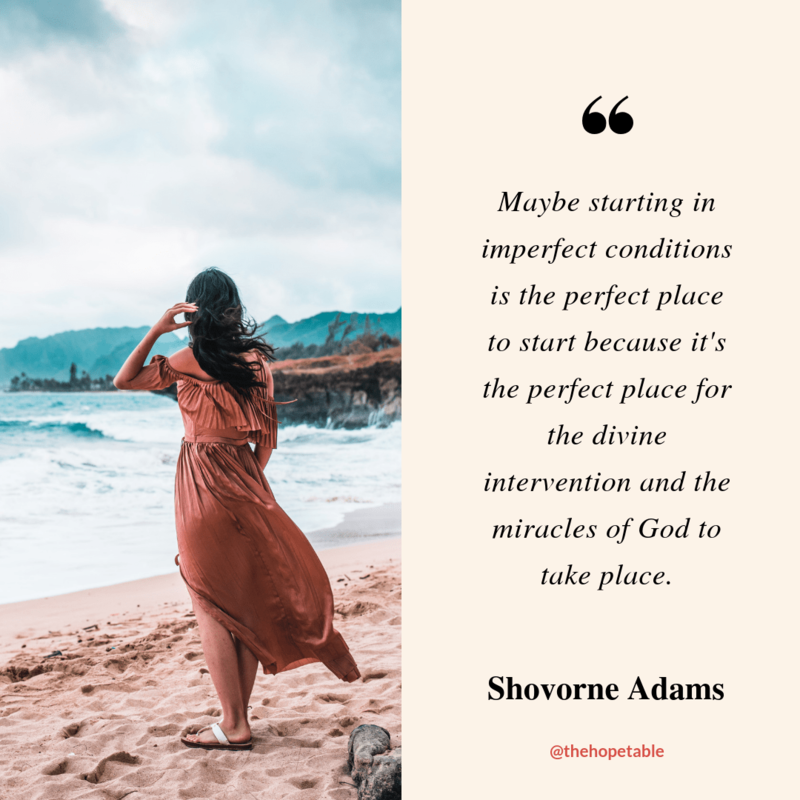 Maybe starting in imperfect conditions is the perfect place to start because its’ the perfect place for the divine intervention and the miracles of God to take place as we see from the rest of the story. The world is ready and waiting to be blessed with your message, story, business, blog, ministry; your brand of beautiful. Some of the visions and dreams you have will be so extraordinary and so big that your natural reaction will be fear. Fear is a huge factor stopping people from walking in their purpose. But God reassures us. I’ve heard it said many times that “do not fear” and similar phrases are in the bible approximately 365 times. 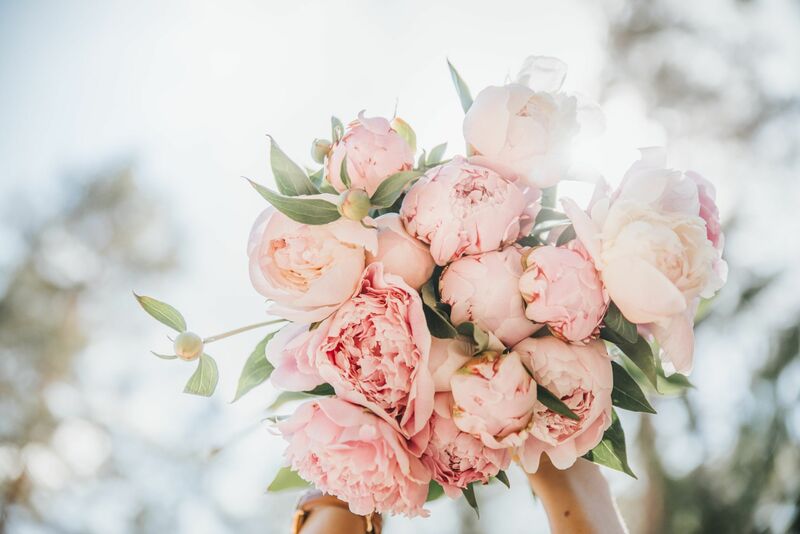 I started to think maybe because God knew He was going send us to some amazing places, give us new visions and call us to do some brave things, and our natural response would be fear and so he decided it to reassure us so many times. That’s exactly what he does for the disciples. He reassures them. He has invested into your purpose by orchestrating a place, a time and an invitation (come), to do what yesterday you thought was impossible, and even unimaginable, by showing you what is possible when He is Lord over your life. Wow! Yesterday Peter & his disciples didn’t know that walking on water was even a possibility. Sure, they’d heard that God had spilt the sea for someone named Moses to walk through it, now this too? Walking on top of the waves! They’d never even conceived the notion, yet now Peter was doing it with Jesus! Vs 29 “And climbing out of the boat, Peter started walking on the water towards Jesus” Jheeze! I imagine it and my heart sparkles with awe. What an example Christ has set for us in doing the impossible possible? When we were lost in sin we couldn’t have even imagined some of the things that God would ask of us now. With Christ who makes all things new, He has certainly set some new standards in my life. Have you seen The Apprentice? All these budding entrepreneurs want is someone to invest in the vision they have. The winner receives Lord Alan Sugar’s support for their business plan. 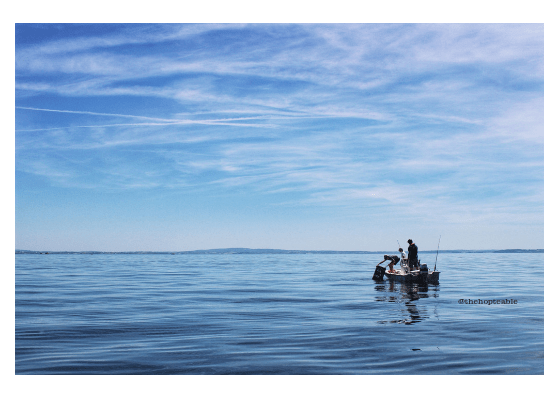 Financial investment, mentoring and the whole shebang from someone who is already a pro. When some of us are starting to plan a business or ministry we look for investors. That might look like marketing support, a business coach, Christian mentor or financial investment. These are all good things. But can I say that when you are being called into your purpose by Jesus remember that He is your biggest investor, your number one fan and your biggest cheerleader. Not only has Jesus invested in your purpose, but he has also invested in every single area of your life. In fact, Jesus is so invested in you living out your purpose that he gave his life for it. He gave his life for you on a cross at Calvary, so that you can live life more abundantly. 4) It’s ok to fail if I fail forwards. At first try I might fail. As my son, my hubby and I sat on my bed discussing (or debating these scriptures) my son passionately expressed that he felt Peter and the disciples were jarring. What annoyed him was that they spent much time with Jesus, yet still showed little faith in this scenario. Just prior to the walk on water miracle, they’d seen Jesus multiply the bread and fish to feed 5000 plus people and now they had run out of faith for the journey already? Vs 30 When he saw the strength of the wind he was afraid and beginning to sink. I agree. My response to my son and my husband was, “isn’t that all of us?” Haven’t we all previously seen God bring us through something and do miracles in our life and then today we lack faith over something He has declared over us. I sure have wavered in my faith from time to time. When Peter felt overwhelmed with what was going on around him he took his eyes off Jesus and started to sink, so many look at him as a failure. Whilst some feel Peter may have failed at walking on water, here's why I personally feel he's not a failure and if he did fail, he failed forwards. The next 5 points are a few things I believe we should remember if, or should I say ‘when’ we feel overwhelmed on our purposeful journey. Lord Save me. Peter Cried. Because Peter knew that Jesus is in the business of saving people. He’s a professional people saver. And I believe that Jesus would have loved this. He came to save us. He takes pleasure in holding you in his arms. Why do I doubt? Why do you doubt? During times of overwhelm and doubt who do you call on? You may have a very long list of people you call on plus Siri and google. How often do you call on Jesus? I for one have learned to call on Jesus more often. in good times he is there and in times of overwhelm he is there for you too. Surely in the middle of the storm on a lake, the safest place to stay is on the boat? Some versions say he got down out of the boat and some say he jumped. I looked at some pictures of a typical boat back in those days and they about 4.5 foot high. I’m only 5 ft 1. So, getting out would've taken some effort. Sometimes it’s going to taking some effort to get out of your comfort zone and do the new and precious thing God is asking you to do. But trust me, it’s going to be worth it. Some of us are waiting for others to validate everything, including the vision that God has given us. I used to have a bad habit of asking blind people to proof read my vision. Several years ago, God gave me a direct command to move out of the area I lived in. I went straight to work, and I admit I was a very immature Christian and I told my colleague I was planning to leave and move. He made me feel crazy and reminded me of all the reasons I shouldn’t move. And I didn’t. At least not then. I did later in life, but I was so bent on the approval of men understanding the mission of God in my life, I didn’t act on Gods directive if I didn’t have everyone else’s permission. When I did eventually do as God asked my life changed radically for Jesus. I just wish I had done it sooner. Sometimes we have a best friend, mum, dad, colleague, evangelist buddy, neighbour or just someone in our life that we feel the need to tell everything. You’re buzzing that God has given you this vision or plan or idea but by the time you have finished telling this person about it you’re doubting because they don’t always respond with the enthusiasm you are expecting. It’s ok to prayerfully share with others with Godly wisdom as his Holy spirit guides us to, but that is not the same as you needing permission from others, when God already made the vision clear to you and has given you permission to step out in faith. Sometimes we can be unwise about who we need permission from. Yes, we need accountability and community and The Hope Table is about both of those things. But God has the first and final say. Peter was radical enough to want to walk on water whilst his friends remained in the boat. When you start to do something different you are going to have onlookers. I’m confident all the disciples were saying great things but for us today, some of those watching will be fans and some will be foes. If you hear whispers from people in the boat watching some will be cheering you on and shouting, “Yes you go girl, you’ve got this. Whoop whoop. I’m praying you make it! How can I help?” whilst others are whispering “she’s failing, she can’t do it, hah she’s sinking. I had a feeling your plan wouldn’t work out”. The haters. We all have them. But remember Peter got down out of the boat and the word of God says he walked on the water and came toward Jesus. Everything God calls us to do draws us closer to him and when God calls us we might have an audience of millions, friends and foes, but we live for an audience of one. Jesus. We have to remember not to get into the comparison game too. It's very easy to watch what others are doing and criticise or compare our own journey. Remember, eyes on Jesus. You walking in your purpose is not solely about you. You, accepting God’s invitation to come and show that the impossible is possible through Him, will affect those around you. Girl, your story counts and the world needs your gift. You are his vessel of awesomeness. When Peter started to sink the Bible says that immediately Jesus reached out and caught him. 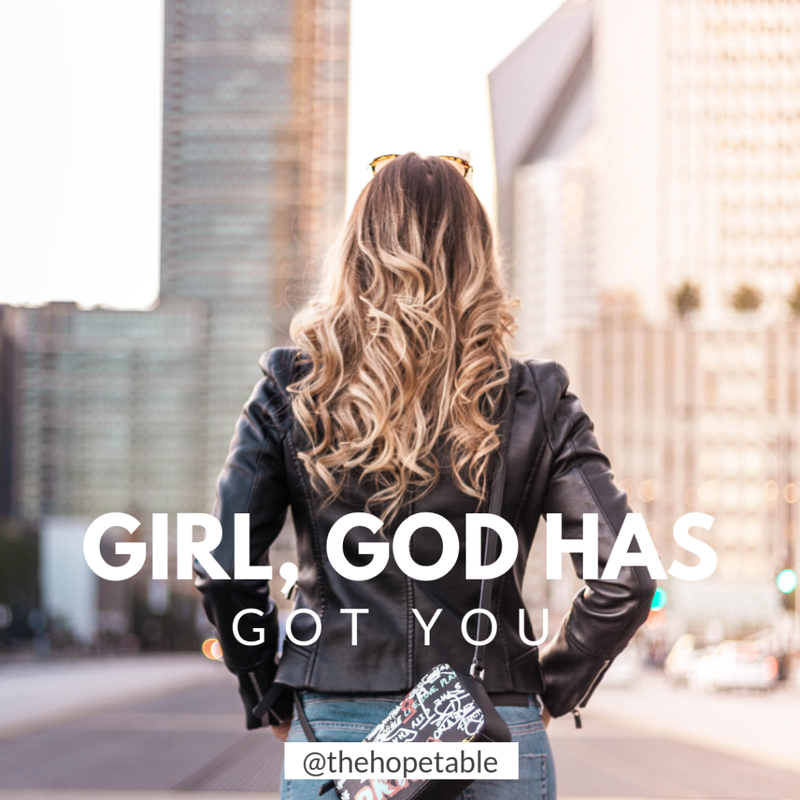 Girl, God has got you. All you need is faith the size of a mustard seed. Take that first step and let God do the rest. Maybe if we learn from Peter, we will keep our eyes on Jesus instead of what was happening around us for we walk by faith and not by sight. You may feel like “God is calling me to step out into something new” but the conditions are not perfect, you feel fearful and you’re worried about failing and what people will say, but our God is faithful to complete the journey with you. And this is a journey. And even if you fail forwards, you really are successful when your life becomes a testimony of what God can do and others are then pointed to see the glory of God. In Jeremiah, God declared the He made the sand as a boundary for the sea, an everlasting barrier it cannot cross. The waves may roll, but they cannot prevail; they may roar, but they cannot cross it. That is the mighty God you serve. Next time you are on the beach, watch the waves stop at the shore and remember how majestic and powerful your God is. The great I AM. 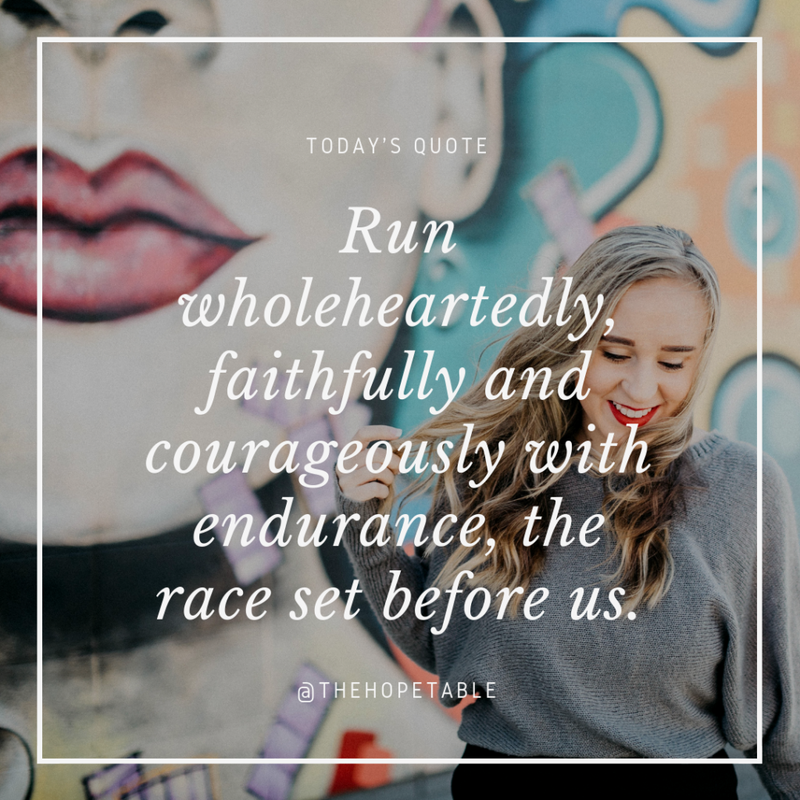 To live anchored by fear and doubt over God's call on your life or to run with endurance living rooted in his love, living out your God given purpose on purpose? I made my choice. What is God inviting you to do? Where in life is he asking you to take a step of faith and obedience? Where is he trying to move in your life in a new way? What comfort zones is he asking you to let go of? 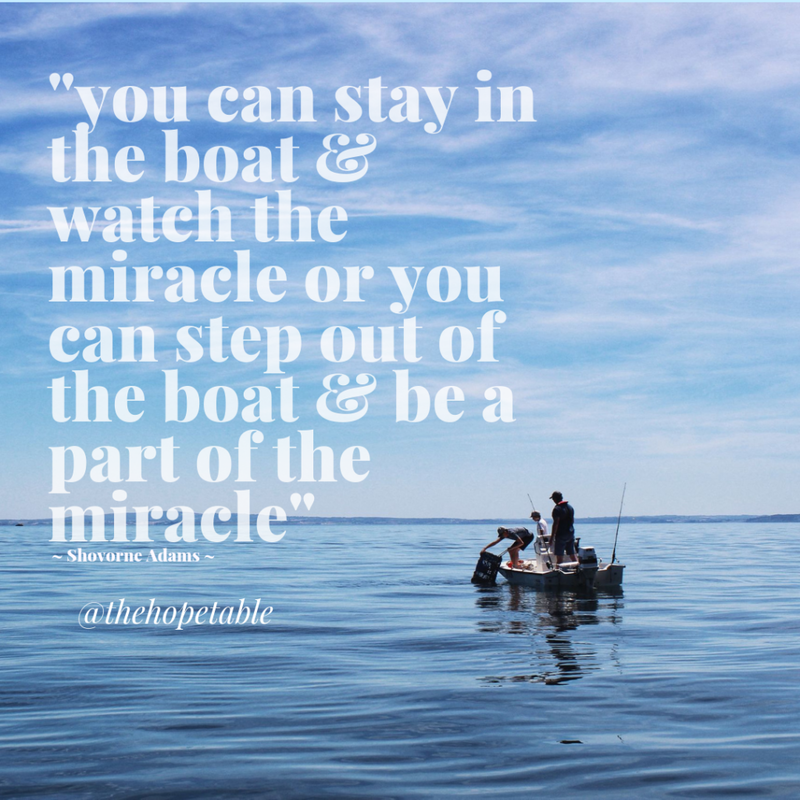 You can stay in the boat and watch the miracle but why not step out of the boat and be a part of the miracle? Trust me I’ve been there 😩 God's been telling you what you should do but you're fighting against your calling. Putting the signs down to coincidence or feeling that if you just do this first, or get that done first then the time will be right. Plus others are doing it so well and you feel like there is no room for you. Feelings of inadequacy, comparison, and inferiority start creeping in. So there you are still praying about it, but really you are just delaying doing it. Comparison and that feeling of 'who am I to shine?' were holding me back. Well actually who am I not to shine? 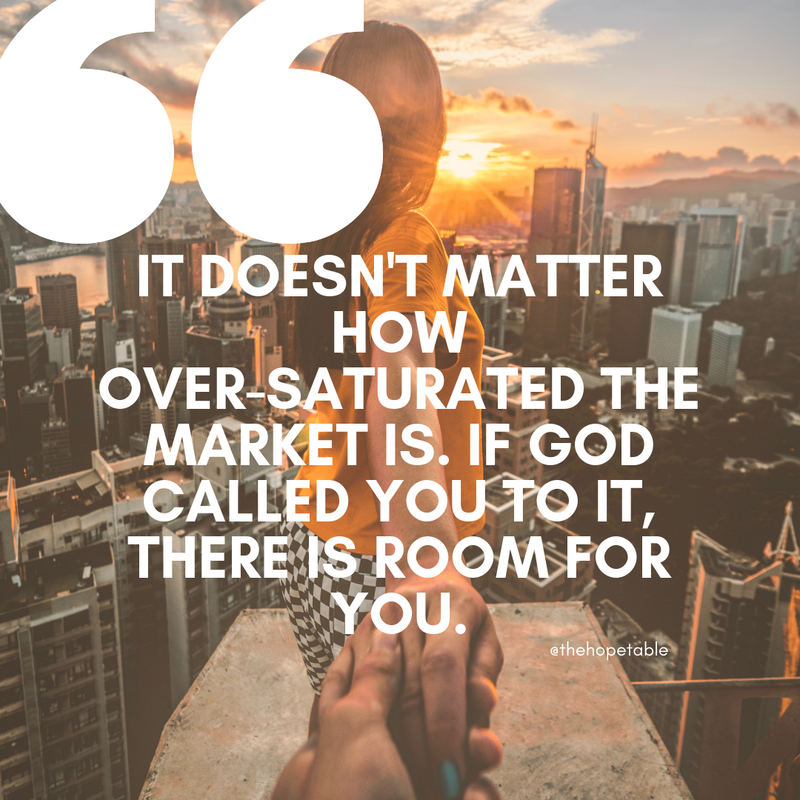 One day as God was working on me this message popped up in my social media, "It doesn't matter how over-saturated the market is. If God called you to it, there is room for you". I just wanted to bawl, because I knew I just needed to be obedient and get on with what God is telling me to do! I was ready to stop just knowing and start doing what God says. I was stepping into the vision He had given me. Afraid, but the most afraid fearless person you will ever meet. 1) Stop comparing your beginning to someone else's middle or end. When God is preparing you and equipping you for what He has called you to do, don't compare yourself to someone who has been doing it for 10 years. Often we look at someone who is at the end goal and suddenly we feel left behind or late which causes jealousy or inferiority. Pray against those thoughts as Gods timing is perfect, for you and for them. Be inspired by them, cheer them on, admire them, learn from them and pray for them, that they can continue to do their good works according to His will as you will also! Girl, keep your eyes on Jesus, slay in your lane and before you know it you’ll be hitting those godly goals too. We all have to start somewhere and the beginning is a fine place for that! As long as you start. 2) Don't do a Jonah! Stop running and hiding from your calling. Souls are waiting for you to share the good news. He was given a specific message for specific people for a specific time. He delayed by running and hiding. Whilst his tumultuous journey on the boat allowed the sailors to see who God is, the following period of darkness and isolation was harsh! Have a little more faith than Jonah and most certainly a better attitude. We are all called to share Jesus with others. There is a gift and a calling that God has put on your life to do this. Girl the world is waiting for you to shine your big light – Jesus. There's room for everyone at Gods table, and when you delay in 'actioning' your calling, you delay someone's invite to sit at the table and to feast on the delightful fresh daily bread of salvation, hope, grace and wonderfulness that God gives. You have a fresh daily loaf whilst your neighbour is having stale bread? I'm sorry but croutons don't taste that great! Faith without works is dead. Acknowledge and trust in God to be your strength and He will make your path clear. Proverbs 3:6, Phillipians 4:13 Just ask him to help with the net step and take it! Let's learn from our biblical mentors, lets learn from their victories and mistakes. Instead focussing on our inadequacy, let's focus on God who is El Shaddai, God almighty! Almighty! All Mighty! Stop focusing on your weakness and focus on HIM! If He has called you to it, No matter what the world says, he will bring you through it. My friend, it’s time to bloom! Feeling overwhelmed by your to-do-list? Does it feel like the laundry basket is always full? Do you feel like you are always putting aside quiet time with God? Well I understand. Check out this post out. It might just be what you need to here. I don't have time for God I'm doing my laundry.